Duke Zhen is momentarily taken aback, "What do you mean, Your Ladys.h.i.+p?" Mo Qi Qi looks around cautiously before whispering, "Are you truly loyal to the Emperor, old dad?" Duke Zhen looks stunned before he laughs, "You should concentrate on your pregnancy, Your Ladys.h.i.+p, you need not worry about anything else. It does not matter who the Emperor is, old dad will not let anyone harm this child. This is old dad's first grandchild. If anyone dares to lay a finger on this child, old dad will teach them a thorough lesson." Seeing this, the d.u.c.h.ess comforts her, "Your Ladys.h.i.+p, a woman must not think too much when she is carrying a child. Let the menfolk take care of their own business. You just need to focus on safely delivering our first grandchild. No matter what happens, you will always be dad and mom's little girl. This child will always be our beloved grandchild." Mo Qi Qi smiles, touched. It does not matter if Duke Zhen is potentially a crooked officer and might be a wanted criminal in the future, the love that they have for this daughter is heart-warming and immense. They truly love her, theyr truly dote on her, and that is enough. She will no longer worry about the court. Even if the kingdom changes ruler, what does that has anything to do with her? Right now, all she is waiting for is for when Jun Qian Che is going to start acting against this child. Even she can tell that nothing good will be brought to him by this pregnancy. It is pretty much impossible for him to leave this child be. The Duke and d.u.c.h.ess stay for a while longer before leaving. Three days quickly pa.s.s, and Mo Qi Qi has not seen Jun Qian Che even once. She feels a little aggrieved: that b*****d! He usually runs over even when there is nothing to do, for the sole purpose of angering her. Now that she is pregnant, he has conveniently disappeared. What is he playing at? Is he planning to let her and the child fend for themselves? Hmph! Since he isn't coming, she will look for him instead! She wants to ask him what he is planning to do. The foetus is developing, if the pregnancy has matured and he suddenly decides to get rid of the child, the impact will be great for her body. And so, Mo Qi Qi walks over to Yu Jing Palace with a displeased look on her face. The morning court has just ended and the Emperor is eating his breakfast, so Mo Qi Qi pretty much catches him at the right time. He has been avoiding her these past few days. He does not know how to face this pregnancy of hers. Mo Qi Qi sits next to him before warmly greeting him, "Morning, Your Majesty!" Jun Qian Che looks at her, "Why are you here?" Mo Qi Qi puts on a fake smile, "Chenqie has not seen you for a couple of days, so chenqie is here to see you. Is there anything can chenqie help you with? The foreign King and Queen are still here, do you want chenqie to continue acting as an interpreter?" "No need, the King's personal interpreter has resumed his post." Mo Qi Qi sneers, "He is the King's personal interpreter, he is bound to speak for his King. Even if the King secretly curses you, you will not know better and will still treat them with a happy face. Won't you end up becoming a laughingstock then?" Jun Qian Che calmly replies her, "No need to worry about all that, Empress. Zhen has also hired another local interpreter to a.s.sist zhen. He is very trustworthy." Dang! Who would have thought that this trash would be so thorough? Just look at him! Who could be so elegant while eating? Although this is not the first time she has seen him while he eats, this is the first time she realizes how elegant his movements are. His lips look so tantalizing and his fingers are long and pretty. The chopsticks in his hand looks like a pair of artpiece instead of a pair of cutlery. "Is there anything else, Empress?" Mo Qi Qi is too busy in her fantasy to hear that. Jun Qian Che is a little surprised when she does not answer. He turns to look at her and when he finds her lost in a daydream, he snaps in annoyance, "What are you even thinking about, Mo Qi Qi!" Surprised by that outburst, Mo Qi Qi snaps out from her thoughts and smiles at him awkwardly, "Nothing!" "Do you have any other thing to say? If not, feel free to leave," Jun Qian Che heartlessly chases her away. To tell the truth, he is scared that she will bring up about her pregnancy. "Are you that busy lately, Your Majesty?" murmurs Mo Qi Qi in discontent. How dare he chase her off? To tell the truth, she has been waiting for the opening to talk about their child. She wants to gauge his mood, but it seems that his mood isn't really that great right now. "En," replies Jun Qian Che simply. Mo Qi Qi secretly rolls her eyes, "Wonder what it is that you are so busy with?" Jun Qian Che looks at her. She quickly laughs, "Hehe, don't misunderstand chenqie, Your Majesty. Chenqie has no intention to interfere with politics, just, chenqie is worried about you. No matter how busy you are, health comes first." "You don't have to worry about all that, Empress. You only need to take care of yourself," replies Jun Qian Che. Now that Jun Qian Che has conveniently turns the topic to her, Mo Qi Qi seizes the chance to say, "Your Majesty, chenqie is here today to discuss about our child—"
"That is enough, Empress. Zhen has something to discuss with the foreign King. Anything else can wait until later," Jun Qian Che suddenly stands up and leaves. Mo Qi Qi stomps her foot angrily, "He really is too much! Hmph! Go on and hide, you can't hide forever! I will wait until you make your decision!" She angrily leaves. After leaving Yu Jing Palace, Jun Qian Che turns around. When he realizes that Mo Qi Qi has not chased after him, he secretly sighs in relief. He really does not know how to talk about their child with her. So, he can only run away. Mo Qi Qi returns to Feng Yang Palace with a chest full of fury. When she reaches the courtyard, a maid informs her that the 7th King is there to congratulate the Empress for her pregnancy. When Mo Qi Qi hears that, she quickly walks to her resting palace. Jun Yue Hen is sitting quietly on one of the seats inside her resting palace. When he sees her walking in, he immediately stands up and bows towards her. "This official greets the Empress." "No need to be so courteous, 7th imperial uncle. Please, sit," says Mo Qi Qi as she sits on the phoenix seat. With so many people around, she must maintain proper decorum between her and Jun Yue Hen. After sitting down, Jun Yue Hen looks at Mo Qi Qi before warmly asking, "This official heard that the Empress is pregnant and is here to congratulate you. This official hope that you can bear even more imperial children for His Majesty in the future." "That is very kind of you, 7th imperial uncle." Mo Qi Qi looks at all the servants nearby, "All of you may leave." "Yes!" the servants slowly leave the palace. Disappointment fills Jun Yue Hen's face as he desolately says, "I didn't think His Majesty would actually let you bear his child." "This child is an accident, I don't think Jun Qian Che will leave it be," replies Mo Qi Qi. "What about you, Qi Qi? Do you want this child? If you want this child, I will help you," Jun Yue Hen sincerely says, though his heart is filled with bitterness. serene: h.e.l.lo, I am back (hopefully TT). Sorry for not updating for a while. I was moving house and it was so tiring and was taking like forever! In the process of settling down now, so I hope I can churn out updates more regularly. You're Read Beloved Empress Chapter 107 online. If you find any errors or translatation mistakes, please let us know so we can fix that as soon as possible. 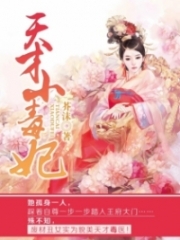 You're reading Beloved Empress by Author(s): 水云行. 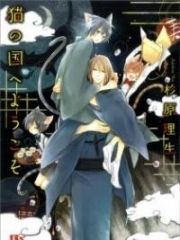 This novel has been translated and updated at LightNovelsOnl.com and has already 755 views. And it would be great if you choose to read and follow your favorite novel on our website. We promise you that we'll bring you the latest novels, a novel list updates everyday and free. LightNovelsOnl.com is a very smart website for reading novels online, friendly on mobile. If you have any questions, please do not hesitate to contact us at [email protected] or just simply leave your comment so we'll know how to make you happy. Current Time is 18-Apr-2019 16:16:08 PM.